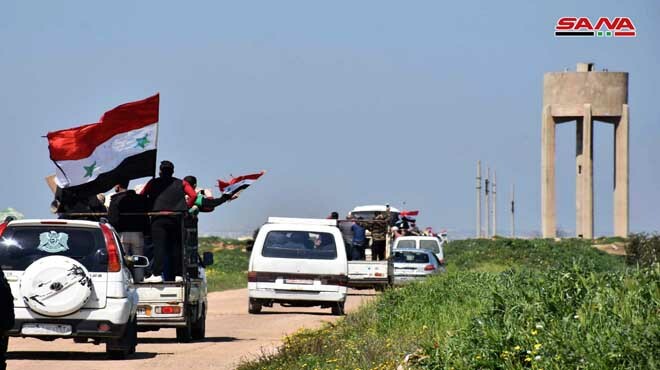 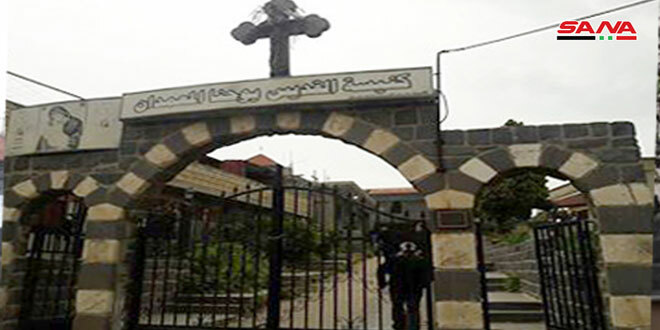 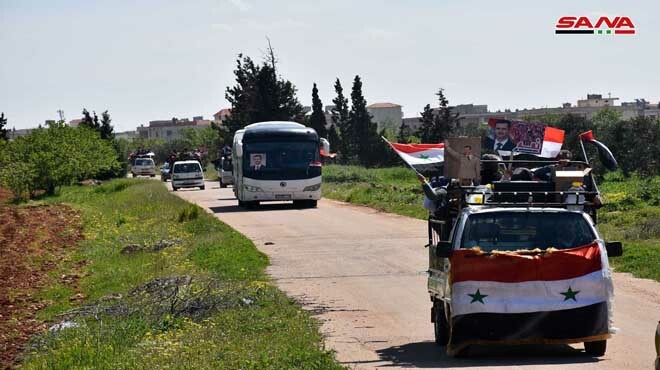 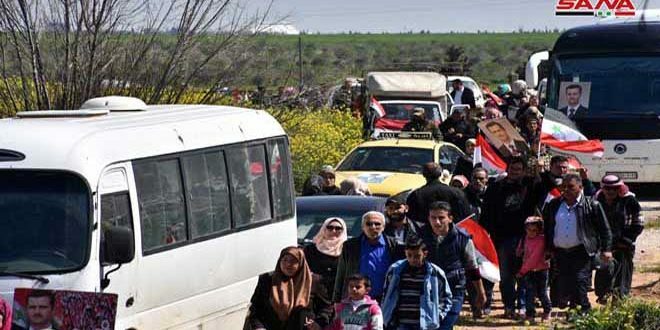 Homs, SANA- Hundreds of displaced Syrians on Wednesday returned to al-Boweida al-Sharqiya village in al-Qseir area in Homs southern countryside after eight years of absence due to terrorist crimes against them. 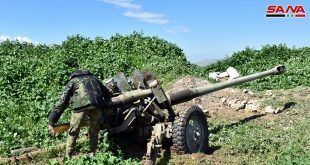 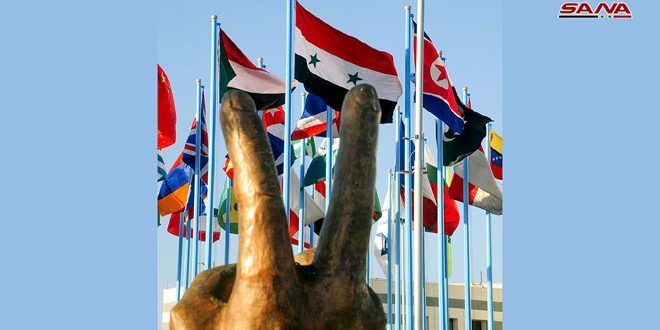 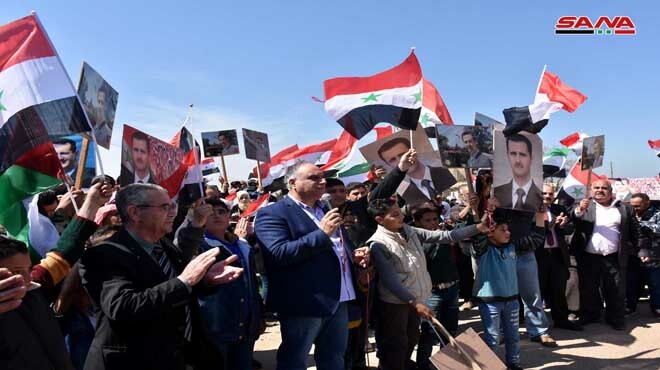 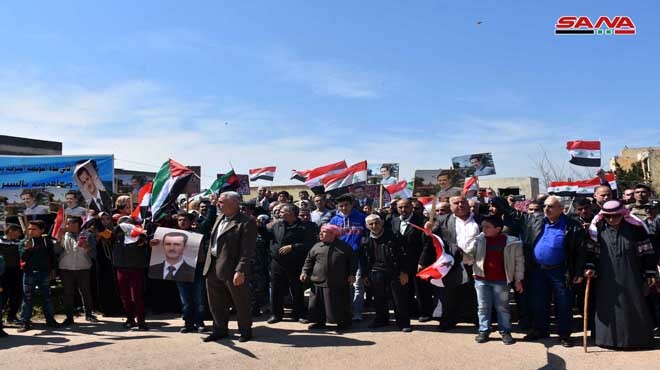 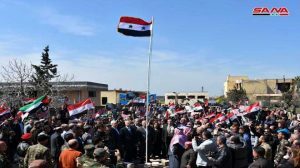 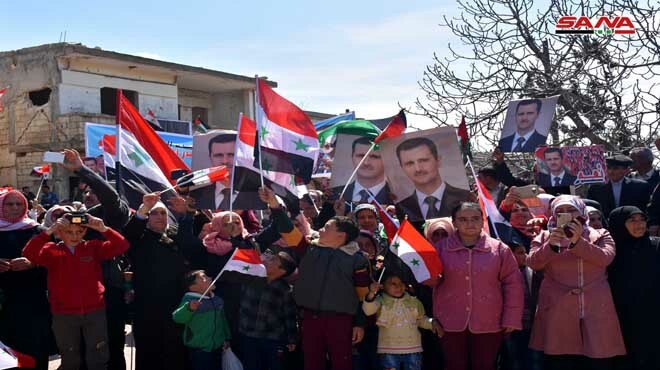 The Syrian flag was hoisted in the square of the village amid joy of the locals , who praised the great achievements made by the Syrian Arab Army to secure their return to their houses after eradicating the terrorists from al-Qseir area. 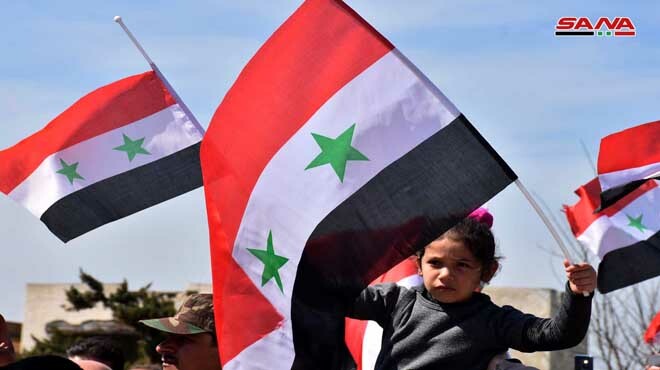 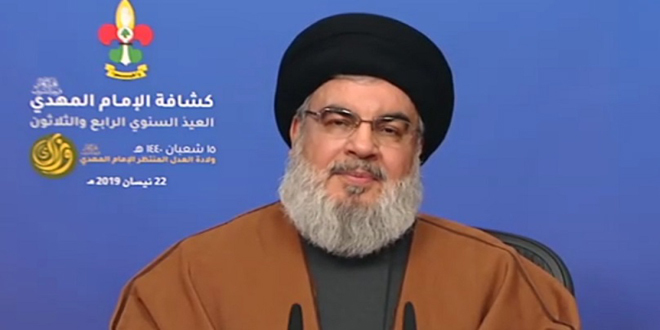 A number of the locals expressed their happiness over their return to the al-Boweida al-Sharqiya village after it was purified from terrorism by the Syrian Arab Army , affirming that they will re-build their houses which have been destroyed by terrorism. 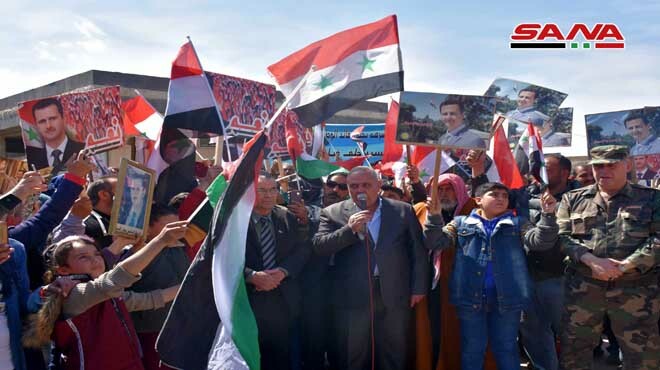 For his part, head of al-Boweida al-Sharqiya Municipality , Mohammed al-Mohammad said that a program was set up to ensure the infrastructure services of the village , including drinking water and sanitation, in addition to coordinating with the bodies concerned to provide the electricity to the locals in the village.